The Lee Precision .500 Smith & Wesson Magnum Quick Trim Pistol Die is used in conjunction with the L.. The Lee Precision 10mm Auto Quick Trim Pistol Die is used in conjunction with the Lee Precision Delu..
6.5 CREEDMOOR QUICK TRIM DIE PHOTO NOTE: The Lee Precision Quick Trim Die is shown in the illu.. The Lee Precision 6.5x55mm Swedish Mauser Quick Trim Rifle Die is used in conjunction with the L.. The Lee Precision 6.8 Remington Special Quick Trim Rifle Die is used in conjunction with the Lee Pre.. 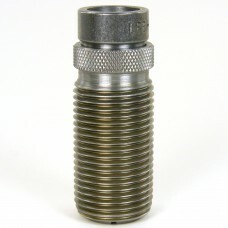 The Lee Precision 6mm Remington Quick Trim Rifle Die is used in conjunction with the Lee Precision.. The Lee Precision 7.5x55mm Swiss, 7.5mm Schmidt-Rubin Quick Trim Rifle Die is used in conjunctio.. The Lee Precision7.62x39mm Quick Trim Rifle Die is used in conjunction with the Lee Precision Deluxe.. The Lee Precision 7.62x54mm Rimmed Russian Quick Trim Rifle Die is used in conjunction with the Lee .. The Lee Precision 7mm Remington Magnum Quick Trim Rifle Die is used in conjunction with the Lee Pr.. The Lee Precision 7mm/08 Remington Quick Trim Rifle Die is used in conjunction with the Lee Precisio.. The Lee Precision 7x57mm Mauser Quick Trim Rifle Die is used in conjunction with the Lee Precision.. The Lee Precision 8x57mm Mauser Quick Trim Rifle Die is used in conjunction with the Lee Precision D.. The Lee Precision 9.3x62mm Quick Trim Rifle Die is used in conjunction with the Lee Precision Deluxe..